We assisted US. Foods in centralizing their A/P, A/R, and Credit and Collections functions. The net result was a 300% increase in processing workloads, without adding any staff. This increase in production was coupled with a marked decrease in cost per transaction (from $4.50 per transaction to under $1.20). Today, 70% of their vendor invoices are processed without human intervention, and, as a result, corporate interest earnings improved by $6-7MM. It doesn’t end there. 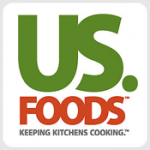 After a 300% increase in processing efficiencies across various back-office functions, USF turned its attention on increasing self-service functionality for its 40K+ vendor population. Within one month of launch, 7000 vendors were on-board, with an astounding 65% of disputes being entered via the A/P portal instead of through time consuming phone calls (this will work out to over 700,000 vendor inquiries this year alone.) As a direct result, the A/P supplier portal we implemented has delivered a 35% improvement in support costs. 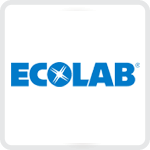 Ecolab hired us to improve the management and processing of sales-based rebates with their distributors. By redesigning the logistical work processes and adding new technologies, we were able to improve Ecolab’s rebate cycle times by 20%, while simultaneously decreasing the error rates of inaccurate rebates. This directly translated to a $3M increase in annual revenue. We helped Duke Energy realize an acceleration of their A/P centralization of 86 locations, while also garnering a 50% improvement on invoice process cycle times. Additionally, training and research times associated with A/P transactions were reduced by over 80%. 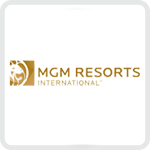 This contributed to an overall savings of $1MM annually. 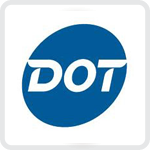 Dot Foods engaged ICG to design and deliver a comprehensive portal solutions where suppliers (manufacturers) and customers (distributors/food service) could access data, download documents, request information and submit disputes relating to their transactions. This state-of-the-art sully chain transaction portal not only saves all three parties — Dot, supplier, customer – time and money, it speeds up the resolution of disputes and frees up capital. We would love to add you to our growing list of success stories. Contact us today and learn how we can help you realize faster turnarounds, reduced expenses, and higher profits.